Google is no longer just a simple search engine. To date, Google offers hundreds of products and services, nearly all of which are managed through a Google account. Among them are services for email, chat, maps, video, photos, music, and social networking. Most of your online life can reside behind the single lock and key that is your Google account. The benefit of this arrangement is that everything is seamless, and switching between different services generally demands no extra effort on your part. For one reason or another, however, you may find yourself wanting to get rid of this particular online identity you've built. Fortunately, Google is well known for promoting user rights and privacy, and the company makes it easy to remove data from individual products or even to delete your account entirely. Here's how it works. 1. Access the Google Login page in your Web browser. Sign in to your account from the Google Login page. 2. Fill in the appropriate email address and password for the account with the Google product or service you wish to delete, and click Sign In. 3. Once the sign-in process is complete, click the Edit link next to the 'My products' section. Google is constantly updating, so depending on the version of Google you're accessing, you may first need to select Visit the previous version of the Google accounts screen to access the 'My products' menu. Select the Edit link next to the 'My products' heading to start removing Google services. 4. Find the service or product you want to eliminate under the Delete a Product section, and click Remove permanently. 2. Enter the appropriate email address and password for the account you wish to delete, and click Sign In. 3. Click the Edit link next to the 'My products' section. Once again, you may first need to select Visit the previous version of the Google accounts screen to access the 'My products' menu. 4. 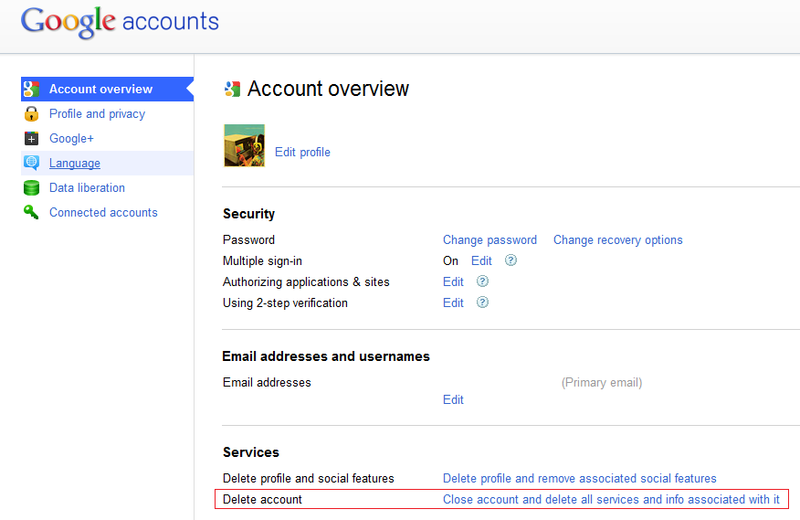 Under the Delete Account section, select Close account and delete all services and info associated with it. Select 'Close account...' to shut down your Google account. 5. Confirm your choice by typing in your password at the prompt on the next page, and then check both boxes acknowledging your choice and the repercussions. 6. 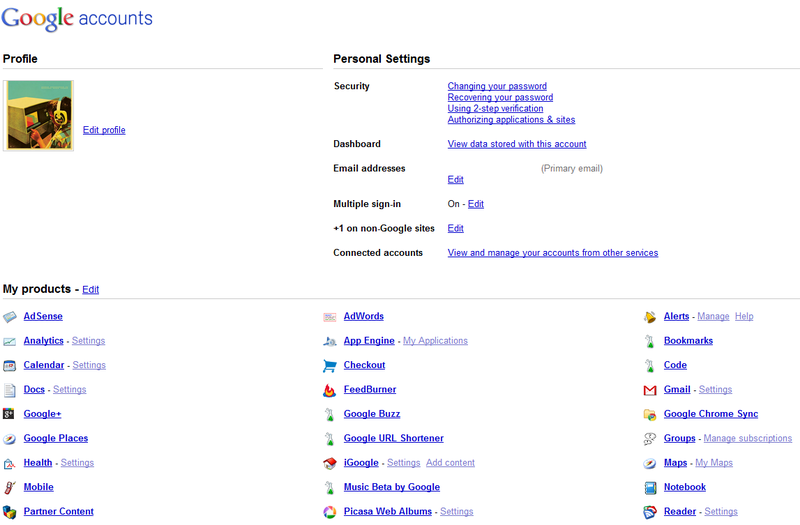 Click Delete Google Account to permanently delete the account and its associated data. Of course, once your Google account is gone, you will permanently lose access to all the data stored in it, so make sure to save anything you want to keep beforehand. If you wish to download all of your pictures, documents, and other data before deleting your account, simply log in as before and select the Data liberation tab on the left side of the screen. From there, click the big blue Download My Data button to download a big .zip file of all your personal data. Now you can delete your account with abandon, secure in the knowledge that your personal data is safely stored on your hard drive.